Joint-stock company “Elecond” is the leading Russian enterprise for the production of aluminum oxide-electrolytic, tantalum bulk-porous, tantalum and niobium oxide-semiconductor capacitors. More than 1,600 enterprises in Russia and the CIS countries deal with Elecond. Main customers of Elecond are enterprises for radio electronics, energetics, medical equipment, communications, railway maintenance, etc. Our employees have been participating in the supply of equipment and consumables to Elecond since 2011. Over the years, we have established confidential business relations, which significantly helps to shorten terms for the implementation of our joint projects. Requests from Elecond gave start to our active acquaintance and interaction with Japanese manufacturers of various equipment for capacitor plants. 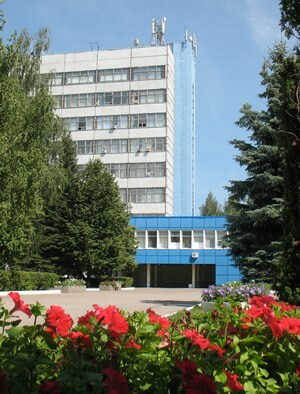 Voronezh capacitors plant is one of the oldest enterprises in Russia for the production of capacitors. The history of the plant began on April 6, 1948, with the production of paper and electrolytic capacitors. Since 1954 the plant has become the leading company in the USSR for the production of electrolytic capacitors. During the period of 1975-80 specialists of the plant rendered technical assistance in the development of capacitors production facilities in different cities of the USSR (Sarapul, Ryazan, North-Zadonsk, Yerevan, Khmelnitsky) and abroad (China, Poland, Bulgaria). The history of cooperation between Voronezh capacitors plant and Japanese equipment manufacturers goes back a long way. Back in 1993, JCCE supplied the plant with their line for the production of electrolytic aluminum capacitors. The cooperation now continues with our participation in the form of supply of consumables. 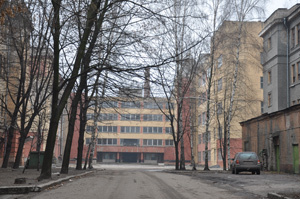 Research Institute “Giricond”, founded in 1939, gave life to a new sub-sector of capacitors construction in the USSR. Giricond is a leading enterprise in Russia and the CIS for the development and production of electronic components. For more than 60 years of its scientific and technical activity, the Institute has continued to develop its traditional products, i.e. capacitors and nonlinear semiconductor resistors. Giricond develops more than 90 percent of these products currently produced by enterprises in Russia and the CIS. The peculiarity of cooperation with this Institute is the supply of small-scale production equipment for pilot projects. Each new project requires coordinated actions of the manufacturer, supplier and buyer.